public services and local government. Barbara is Senior Lecturer in Public Management at the School of Government. 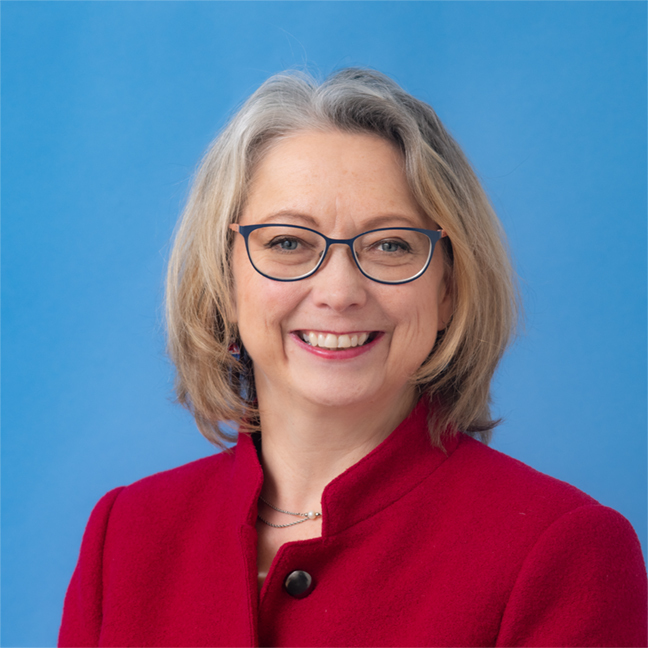 Barbara has held academic roles at the University of Nottingham, School of Sociology and Social Policy, the Institute of Public Management and Governance, Warwick Business School, and the Institute of Local Government Studies at the University of Birmingham. Barbara has been involved in a wide array of research programmes spanning current public policy and management problems. She is an expert in strategic public procurement and is interested in associated problems at the nexus of public, private and the social sectors. Throughout her time in the UK (2005-2015) Barbara developed considerable expertise in public services commissioning, providing policy and implementation projects to a wide range of organisations. At Birmingham, Barbara was lead researcher and subsequently co-director of a large centrally funded programme, the Evaluation of the Local Government Procurement Agenda 2005 -2009. Barbara has recently spoken at Auditor’s General launch of their review of public procurement, at the Trans-Tasman Business Circle, the GovProcure conference and is a member of the reference panel on Commissioning and Contracting for the Australian Public Services Review. Previously Barbara has spoken to the OECD on electronic procurement, advised Sanofi Pasteur on strategic vaccine procurement, and presented research on African SME supplier relationships with government in Uganda. Barbara spent 10 years in the Canadian Air Force as a Captain in Logistics. Barbara’s current PhD students are analysing Public-Private Partnerships in Vietnam,and exploring Artificial Intelligence and Leadership. Her two Masters of Commerce by Thesis students are studying the rules-based procurement regime in New Zealand, and the collaboration in the social sector in New Zealand. Barbara currently supervises four other Masters research papers. Barbara is the Coordinator for the Graduate Pathway Programme. She is very interested in digital education and recently completed the PHELT course Learning and Teaching with Digital Technology. Eppel, E. and Allen, B. (2019) forthcoming chapter "From institutional disaggregation towards virtual reintegration: The implications for service design and delivery" in edited book The Oxford Handbook of Public Administration for Social Policy – Promising Practices and Emerging Challenges, Oxford University Press. Lofgren, K, and Allen, B. (2019) chapter "In and Out of Amber – the New Zealand Government Major Projects Performance Reporting" (eds) Hodgson, D., Fred, M., Bailey, S. and Hall, P. Projectification in the Public Sector, Routledge. Allen, B., Hannant, A., Jackson, B., Morrissey, L. And Tiernan, A. (2018) forthcoming chapter "Promises and Challenges of Business-Led Social Innovation for Social Policy in Australasia" in edited book The Oxford Handbook of Public Administration for Social Policy – Promising Practices and Emerging Challenges, Oxford University Press. Allen, B., Jas, P and Gardner, A. (2015) “Is Devolution Strengthening Local Government? Or not?” Discover Society, Issue 26, November. Allen, B.A. (2015) “Social investment for welfare services – the apogee of marketization or the salvation of public value”. Conference paper for the International Research Symposium on Public Management, Birmingham, April. Allen, B.A., Wade, E. (2011). “Leadership for Commissioning in an Era of Reform”. Public Money and Management, Vol.31(5). Allen, B.A. (2011) ‘Innovation Procurement in Health Care, A Compelling Opportunity for Canada’, for The Conference Board of Canada. Allen, B.A., Wade, E.W., and Dickinson, H. (2009) “Bridging the Divide – Commercial Procurement and Supply Chain Management: Are there lessons for Health Care Commissioning in England”, The Journal of Public Procurement, Vol 9(1), 505-534. Allen, B.A. (2007), “Putting the Squeeze on Procurement: Procurement Policy as a Lever for Innovation, Science and Environment”, in Innovation, Science and the Environment – Canadian Policies and Performance. Ed. G.Bruce Doern, McGill-Queen’s University Press. Allen, B.A. (2006), “Unintended Consequences: Procurement Policy and the Canadian International Trade Tribunal”, in Advancing Public Procurement: Practices, Innovation and Knowledge-Sharing. Ed. Khi V. Thai and Gustavo Piga, PrAcademics Press. Allen, B.A., Juillet, L., Paquet, G., and Roy, J.(2001). “E-Government In Canada: Partnerships, People and Prospects”. Government Information Quarterly, 18(2): 93-104.